March is usually when spring weather arrives and there are many fun events offered. We will see if Punxsutawney Phil’s prediction of early spring comes to fruition, but at this time, look like more winter storms heading into March. None-the-less, Fun Events are the earmark of many resorts and here are a few you don’t want to miss. Mt. 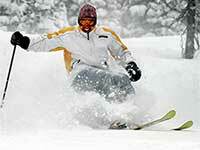 Rose Ski Tahoe at the time of this writing, is reporting a packed snow base of 12 to 15 feet! They are planning a new event “Steep 16” set for Saturday, March 16, and in the spirit of the Sweet 16 College Basketball Tournament, Steep 16 is planned to pit skiers & snowboards to ski/ride all 16 Chutes. This inaugural event is still in the planning stages, but if executed, will be a note-worthy event for those who like to challenge their limits and Scarf the Gnar! Another great event and for a great cause, Mt. Rose and Bobo’s Ski & Patio are hosting the Pinkfest on Saturday, March 23. This is a specialized women’s ski & snowboard festival featuring women’s clinics with all proceeds to benefit Moms on the Run, a non-profit organization that raises funds to assist northern Nevada women with everyday living expenses while in treatment for breast & gynecological cancers. Space is limited on a first come-first served basis and to register, visit the website. With the current snowpack, Mt. Rose is proposing to stay open through April 28. Mt. Rose Ski Tahoe and the US Forest Service – Carson Range, are also working on a proposed expansion plan to approve ski access into the 110 acre “Atoma” area across the highway from the resort and is in public review. More about this in the future. In partnership with Barton Health, Heavenly is hosting “Pink Heavenly” on Saturday, March 23. 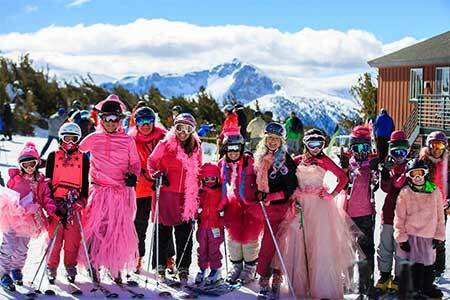 Create a fund-raising team, dress in pink and get out on the mountain and have fun with women – girls of all ages and families as well! 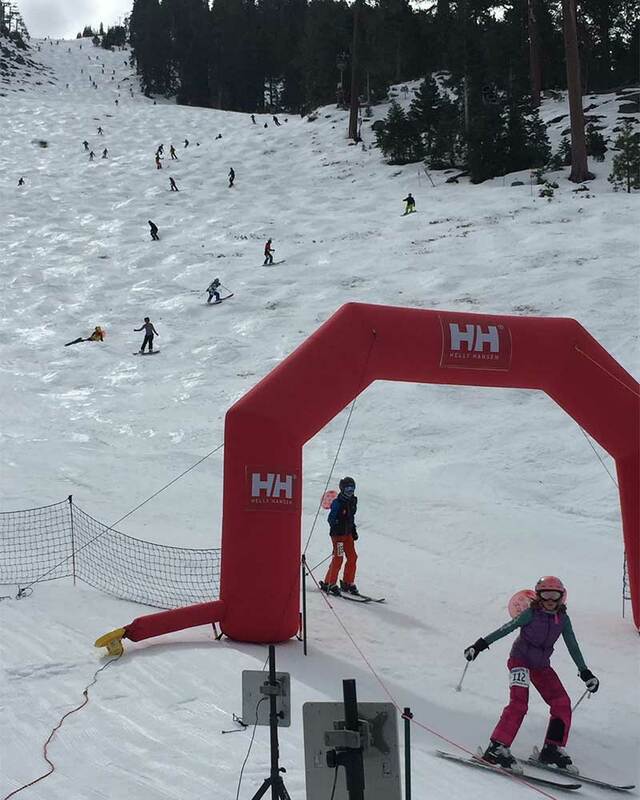 Heavenly will also host the 16th annual “Gunbarrel 25” endurance mogul event on Saturday March 30, from the bottom of the infamous Gunbarrel Run at their California Base Lodge. I have had the privilege to emcee and announce this event since it’s beginning when then, Ski-E-O, multi-colored Mohawked, Glen Plake, introduced this local event. Skiers & snowboarders of all ages are timed, with a shot gun start, to ride up the Gunbarrel Express to complete 25 laps down the 1800 vertical foot mogul run. There is also an Ironman division that tallies as many runs as possible with in the time limit of the event, followed by an awards dinner. To date, Heavenly is reporting a mid-elevation snowpack of 134”, over 11 Feet! They are planning to extend season through Sunday, April 28, with a bonus 3-day weekend, May 3-5. 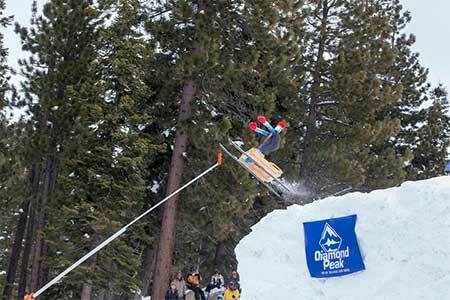 Diamond Peak Resort will feature its 19th Annual “Dummy Downhill” on Sunday, March 24. This is a wacky event where participants creatively build a dummy on skis or a snowboard, enter a judging contest and then are awarded prizes in various categories as the dummies are launched off a big air jump. It’s a great crowd pleaser with belly laughing fun, as the dummies get big air and land or crash or totally blow up and more. There is also a Onesie – Silly Costume Contest with a wacky costume parade open to participants and spectators. You don’t want to miss this one! Diamond Peak, to date is reporting a snowpack of 80 to 104”, and has announced extending their season through, Easter Sunday, April 21. 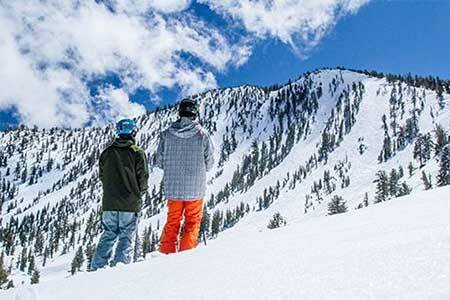 In southern Nevada, Lee Canyon Resort is reporting a snowpack of 65” and has been in full operation. They plan to stay open through March and they feature a special promotion for Friday skiers and boarders with “Feel Good Fridays. 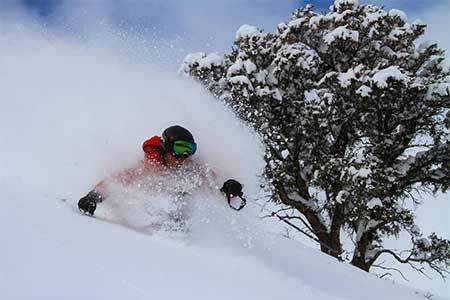 $25 Lift tickets on Friday’s through end of March with $5 going to support the High Fives Foundation. Get out and enjoy outdoors in Nevada — Whether on ski trails or bike trails — Spring will eventually arrive! Have Fun & Be Safe!